Are you planning to start a restaurant? Well, then I presume that you have already done your research about the types of restaurant equipment that are necessary to start your business? In fact, you must have a list of essential restaurant equipment necessary to open a restaurant. Even if you have the perfect location, the most outstanding interiors, a superb theme, a fantastic, a fantabulous marketing idea, and a great team, but unless you have the proper types of equipment and tools in place, you will not be able to deliver and receive the desired result. However, you need not worry! We are here to help you with the right types of restaurant equipment that are essential to run a restaurant. Here we have for you a list of different types of restaurant equipment that you will need to run your restaurant successfully. However, knowing what to buy is one thing and knowing how to buy it is another. This article will give you detailed guidelines on how to buy equipment for your restaurant. “Taking advantage of the low hanging fruit, like switching over to LED lighting, is a good start, but the real savings happens when you outfit your restaurant with efficient kitchen equipment” – Tarah Schroeder of Ricca Design Studios. Having the right restaurant equipment in place is essential. It can make or break your restaurant. Hence, you must be very prudent in choosing the right and the most appropriate one as per your requirements. National Restaurant Association in its research stated that efficient equipment is the key to significant savings. Refrigerators and Freezers help in increasing the shelf life of all your perishable products. There are various types of commercial refrigerators and freezers and you can choose from the wide range as per your requirement. 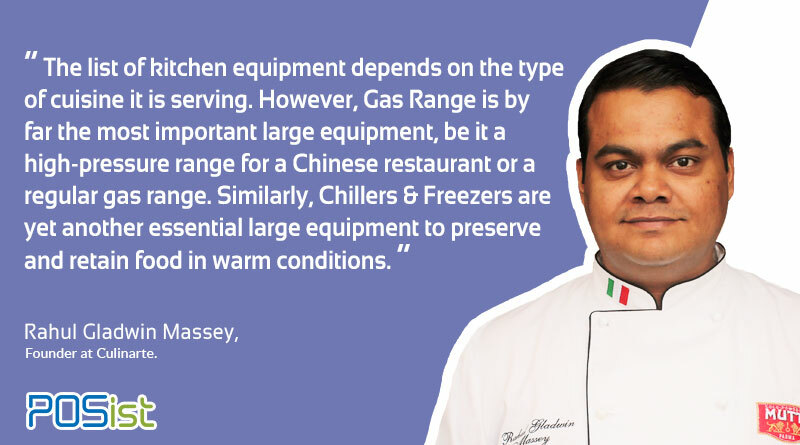 You must do proper research on the market, know about the various kinds of freezers and coolers that are available. Generally, it involves two types, reach in or walk in units. However, before finalizing you must consider the size of your restaurant and its operations. The smaller restaurants may not need walk-in cooler. If confused, it is advisable to take help from professionals who will not only recommend you the type of refrigerator, freezers or other cooling units you must purchase, they will also help you with the installations and shall guide you on how to maintain your units since, since repairing them can be a costly affair. These are essential in all commercial kitchens. Like the refrigerators and the freezers, the sizes of these depends on the size of your kitchen operations. While choosing make sure that the counters are made of stainless steel. Stainless steel is strong enough to handle corrosion, resist attack from food and meat juices, and can withstand the harsh cleaning products that are generally used in the kitchen. But remember, there is always a correct way to clean alloys to ensure that the cuts on the surface do not hide bacteria. Even if you use stainless steel, you will have to clean it properly, at least with just water every night while closing and invest in its maintenance. Investing in equipment maintenance is necessary as it brings down costs and increases the life of your restaurant equipment. This article will guide you through the proper equipment maintenance practices to be followed in a restaurant. When it comes to chopping surfaces, choose a plastic or a wooden one. These two materials are easy to sanitize, however, when it comes to plastics chopping might create deep grooves where bacterias can develop When it comes to wooden chopping surfaces, they are tougher and developing a grove on it is rather difficult. These are required to cut meat, cheese, or other food items with speed and precision. Before buying a slicer, try and understand its usage amount in your kitchen and how it will be used. If you need to slice small amounts and infrequently, then you must opt for a manual slicer, it will be much cheaper. However, when it comes to the frequent use of slicers and where precision is important, it is generally advised to go for electric slicers. Electric slicers will save you both time and labor. At the same time, they will maintain consistency in every piece that is cut. If you are planning to open a QSR, no matter how small you start, invest in an electric slicer as in a QSR kitchen, consistency is the key. The need of mixers again depends upon what your kitchen specializes in. For example, if your kitchen makes anything that requires batter preparation, then a mixer is a must. Be it batter for cakes and pastries or for pizza dough, it is hardly possible to do the mixing in such large quantities manually. There are generally two types of mixers one is spiral mixer used for mixing dense batters such as that of pizzas. And the other is the planetary mixer, this helps in mixing a variety of stuff, be it whipped cream or smashed vegetables, with this you can do it all. A number of oven and range designs and models are available to fit any style and space needs for the kitchen. Both standard and convection ovens are considered necessary, but combination ovens, which combine elements of the two, can be used if space is an issue. Stove-top space for a griddle, charbroiler, and burners also need to be considered and will depend on the overall restaurant menu theme. On the line, a steam table for holding hot foods is also required. Without a proper water sink, your commercial kitchen can hardly operate. This is especially required to wash food and dishes and local health authorities mostly asked commercial kitchens to install a triple-sink wash station a dishwashing unit. This is one of the most important things that you must consider very carefully before starting your business. You must check your local fire department guidelines before purchasing any fire, safety, or sanitation equipment, and avoid potential complications by keeping your kitchen up to fire code standards. According to the National Fire Protection Association, almost 57% of all the restaurant fires are a result of the kitchen cooking equipment. Thus, having a proper fire extinguisher is crucial to the safety of your restaurant, your employees, and your customers. Any restaurant owner before investing in a fire extinguisher should be well equipped to understand associated components and terminology so that you know how to choose a fire extinguisher that would be viable for your restaurant kitchen. A multipurpose powdered extinguisher will help with most other types of fire, including electrical. The fire extinguishers get refilled/replaced every year so you can either buy it for first hand or second hand. Once you have your kitchen equipment in place, you’ll need to focus on what you need in the front of the house.in other words, where your guests will be served. Tables and chairs, of course, are the basic prerequisites but also condiment dispensers, salt and pepper shakers, silverware, glassware, and paper goods. If your restaurant serves specialty food or if it is a multi-cuisine restaurant, you may also need a stock of items specific to that cuisine (that is, chopsticks for Asian food). 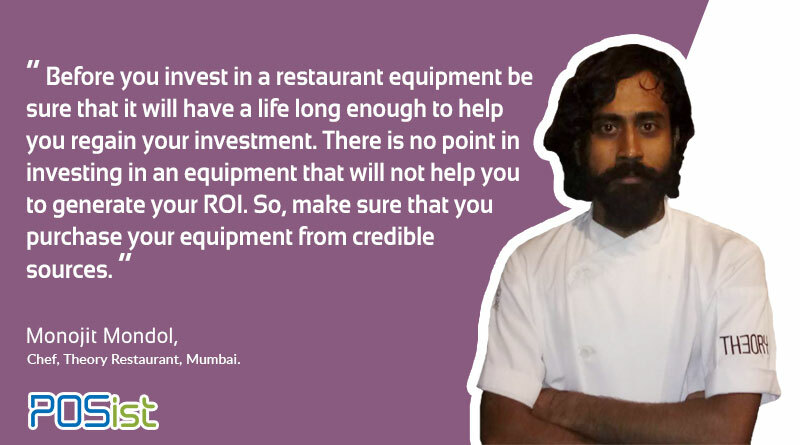 Depending on the theme and format of your restaurant, you can go for second-hand equipment and save your resources. But remember this is the equipment which the customers would directly be in touch with so regardless of where you buy it from, it must be user-friendly, presentable and fully functioning. Menu Boards: These boards can be as simple as chalkboards, where you can write about the ‘attractions’ of that particular day. These boards are generally placed right outside your restaurant and they tend to attract the eyes of a lot of passersby who might just be your potential customers. Tablecloth and Napkins: Tablecloths and napkins are the basic things you ask for if you are aiming for refinement and sophistication. Mostly all restaurants with the view of providing upscale service to get these in place. Salt And Pepper Shakers: These must not always be boring. There are unique designed salt and pepper shakers available in the market. You can even customize it to get it in the sink with the theme of your restaurant. Nowadays no restaurant owner plans to deal with his restaurant operations manually. Hence, there has been a proliferation of demand for the items that help in the restaurant operations. 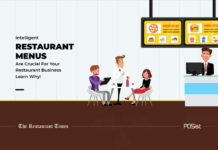 Be it cash-registers, credit-card processing machine or a restaurant management systems, these are being increasingly used by the restaurants to make its operations seamless. There are various POS systems in the market, from which you need to filter the ones that meet your requirements the best. Use a system that will not only help you in the general billing but also in managing the stock and inventory, Customer relationship management and reporting and analytics. The best system should be one through which you will have complete control over all your restaurant operations from where ever you are. You must be able to track the number of bills generated across all your outlets, the discounts provided, compare the sales report across all the outlets, management the stock and inventory and place orders directly through the POS after the system has given the notification of re-order. While choosing the best restaurant equipment will be your first step towards garnering profit. In the process, you must also remember the importance of getting that restaurant equipment which is rather energy efficient. National Restaurant Association has very effectively laid the things to remember that will help you get the energy-efficient equipment for your restaurant. list of equipment needed for restaurant depends on the type of the restaurant and format. however, this is a great list of the major equipment needed that is used in all type of restaurants. thanks for sharing. It is important to have the correct restaurant equipment for running a restaurant. They make your staff more efficient and also give them a helping hand. Often restaurant owners ignore the importance of good equipment. Every restaurant owner should read this wonderful article. Restaurant equipment is the heart of the kitchen and the restaurant business per se. This makes it important that you know what all equipment you will need to run your restaurant seamlessly. This article provides a detailed information about the list of restaurant equipment that will help streamline the operations.